Efficient and professional solar panel cleaning services throughout East Devon and the nearby areas. The more light that hits a solar panel, the more power it will generate. Due to their upward angle solar panels are more prone to a build-up of general dirt, dust and bird droppings that does not wash off with just rain. This layer of dirt reduces the amount of light contacting the panel and can dramatically reduce their efficiency and productivity. 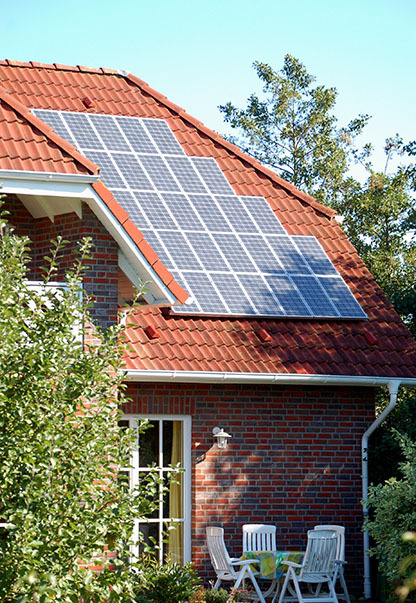 Call us to schedule a regular solar panel clean and insure the maximum return on your investment. Is solar panel cleaning a condition of your warranty? Should you have problems with your solar panels, if you do not have proof of regular solar panel cleaning by professionals, your solar panels may not be covered by the warranty. Google’s Solar Panel Cleaning Research? The research they carried out on their own equipment reached a clear conclusion that dirty solar panels will have a negative impact on their performance. After the first session of solar panel cleaning, their output doubled on some solar panels. Working throughout Exeter, Exmouth, Sidmouth & the surrounding areas.